As the death toll from the weekend’s immigrant-smuggling tragedy in San Antonio rises, the driver in the alleged crime could face up to life in prison — or the death penalty. The driver of a tractor-trailer in which 10 undocumented immigrants were discovered dead or close to death over the weekend could face up to life in prison or the death penalty, according to court documents. James Mathew Bradley, Jr., 60, is accused of knowingly transporting undocumented immigrants, a federal crime that can carry the death penalty if it leads to the death of immigrants, the New York Times reported. 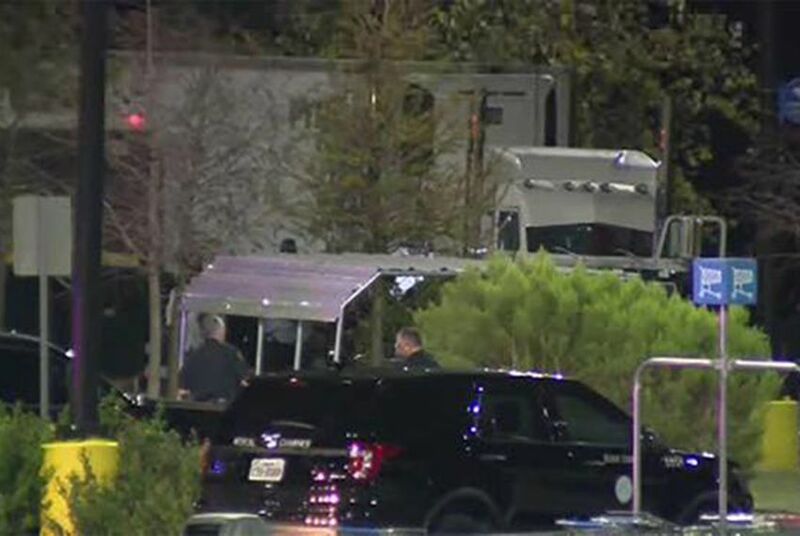 The charge comes after San Antonio police found dozens of people in the back of a sweltering trailer parked outside of a San Antonio Walmart early Sunday morning. Police initially said that 38 people were in the truck, but Immigration and Customs Enforcement (ICE) officials said the actual count is 39; officers found one additional person hiding in a wooded area near the scene. Eight people were found dead in the trailer, and two more died later at local hospitals. All of the deceased were adult males. Though Sunday’s news made worldwide headlines, ICE officials said in their statement that Sunday’s human smuggling attempt was one of thousands made since 2016. During that fiscal year, ICE’s Homeland Security Investigations unit investigated 2,110 such attempts that resulted in 1,522 criminal convictions. That same year, the unit made 2,734 criminal arrests and 3,007 administrative arrests related to human smuggling. In May, Border Patrol agents found 14 undocumented immigrants hiding in a grain hauler at the agency's checkpoint in Falfurrias, Texas. And in the news release, acting ICE Director Thomas Homan said Sunday's incident reminded him of another Texas tragedy he saw with his own eyes. "I personally worked on a tragic tractor trailer case in Victoria, Texas, in 2003, in which 19 people were killed as a result of the smugglers’ total indifference to the safety of those smuggled and to the law," he said. The tragedy prompted Lt. Gov. Dan Patrick to issue a statement reminding his constituents why he made passing the state's anti-"sanctuary city" bill, Senate Bill 4, a priority. "Sanctuary cities entice people to believe they can come to America and Texas and live outside the law. Sanctuary cities also enable human smugglers and cartels. Today, these people paid a terrible price and demonstrate why we need a secure border and legal immigration reform so we can control who enters our country," he said in a Facebook post. On Monday, a veteran House Democrat blasted Patrick for politicizing the issue. "This moment calls for compassionate people from across the political spectrum to have a difficult and honest conversation about comprehensive immigration reform," state Rep. Eddie Rodriguez, D-Austin, said in a news release. “But Lieutenant Governor Dan Patrick took his response too far. Ten individuals lost their lives this weekend and that deserves our attention, not that the lieutenant governor of Texas successfully passed Senate Bill 4."